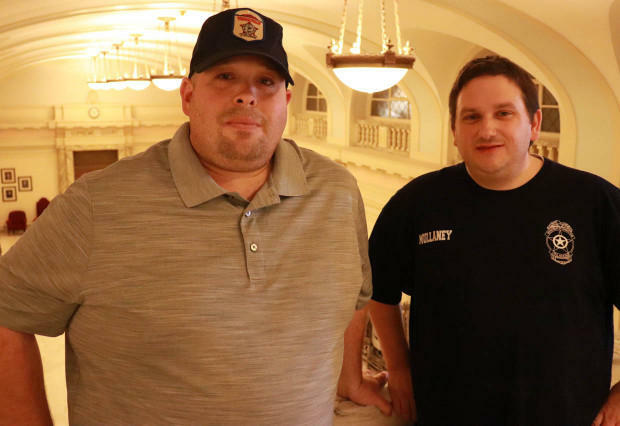 Jason Page and Paul Mullaney inside the state Capitol on Tuesday. 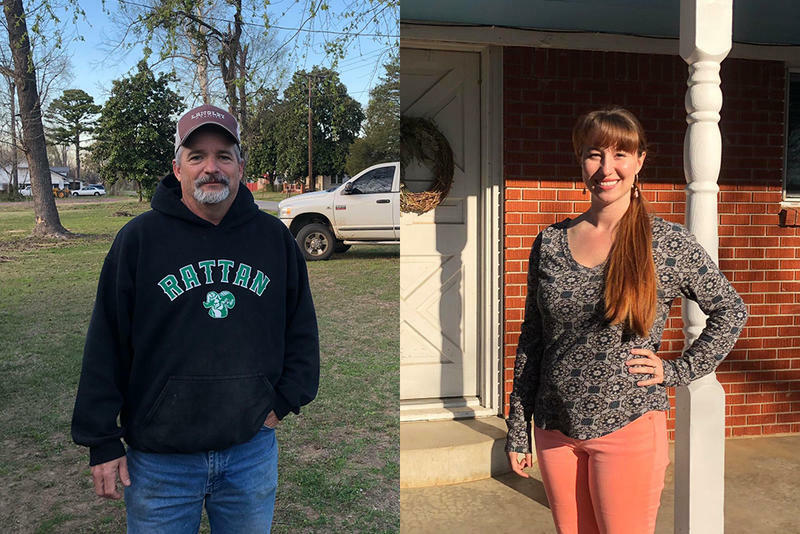 Governor Mary Fallin signed a bill into law last week giving educators their first state-funded raise in a decade, but many teachers still plan to walk out of their classrooms today. Public safety officials expect up to 30,000 people at the Capitol, and among the thousands of teachers and education supporters will be state workers. 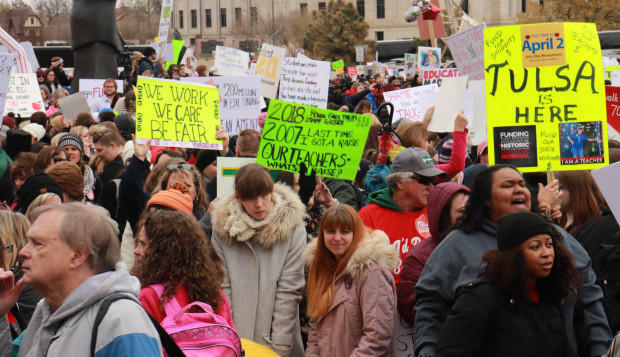 Oklahoma teachers continued to rally Wednesday at the state capitol, the third day of a planned teacher walkout. Educators filled the capitol to capacity, urging lawmakers to hear their demands for more education funding. The Oklahoma Education Association, the state's largest teachers union, wants more money for the classroom and it identified legislation they think would achieve that. One is a bill allowing ball and dice games in casinos, another would repeal some capital gains exemptions.